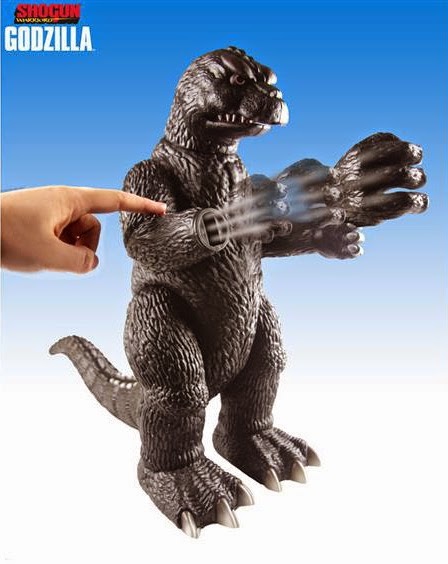 The launching fist (which Godzilla obviously didn't do in the films, but he was created like all the other Shogun Warriors-- or Jumbo Machinders in Japan-- so a lunching fist was just a must), the "flame" tongue and the rolling wheels on his feet-- and that giant size of the figure-- all made him every 70's kid dream toy. 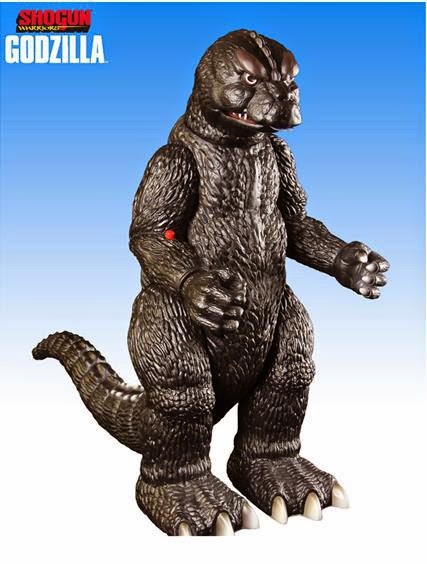 Well, if you had one of those as a kid, or always wanted one-- or are just a Godzilla fan in general-- then you might be interested in picking up one of Toynami's new Shogun Warriors Godzilla figure. The figure features a brand-new sculpt, but Toynami recreated the original pretty faithfully. The changes made to the figure are mostly for the better. He features a skin tone much closer to the film version, he also has proper spines on his back rather than the little, stumpy ones of the original. He'll have his iconic "flame" tongue, but this time out it's colored blue rather than red/yellow to more accurately represent his flames from the films. The only two things that are bothering me about this new sculpt is the size of his feet-- which seem to be way too big-- and that the fist launching button is red, which completely takes away from the new, more accurate look of the figure. This is obviously a collector toy, so I don't see why they need to make the button red. I'm pretty sure that, as an adult, I can find the button on his arm to launch his fist without it being bright red. 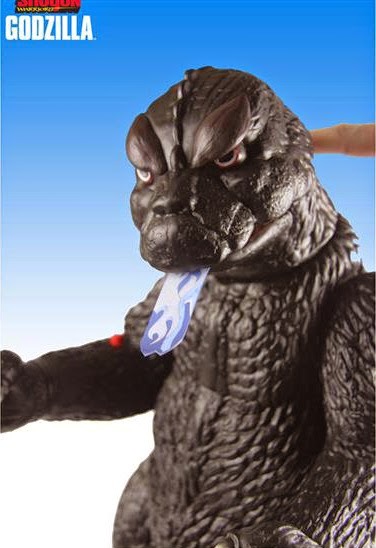 Wow-- for that price you can buy a pretty minty original Shogun Godzilla with the original box! I honestly didn't think it would get close to the 200 dollar mark, let alone surpass it by 50 bucks! This potential purchase is going to take some serious consideration. 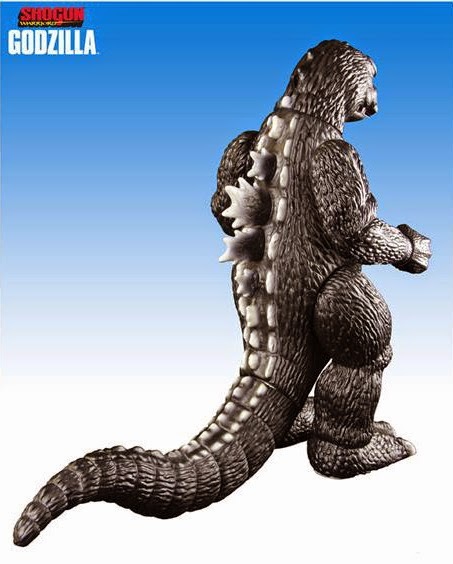 As mentioned, 'Zilla will be priced at $249.99 with a release date of some time during Q2 of 2015.